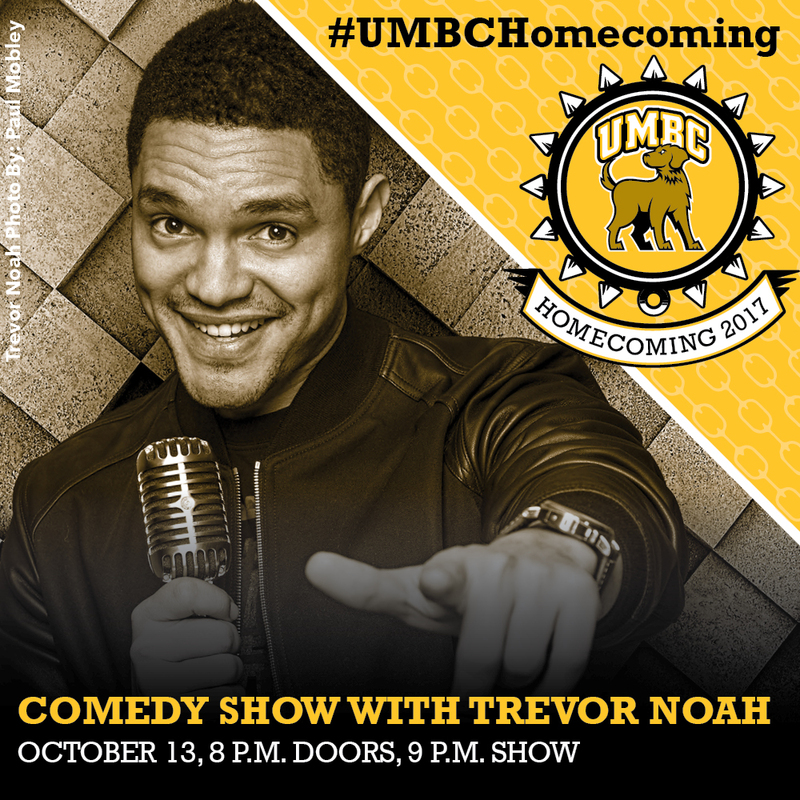 With black and gold streamers flying across campus and pathways covered in paw prints, UMBC is busy preparing for an action-packed Homecoming 2017. Running October 5 through 14, this year’s calendar boasts dozens of events for the whole UMBC community to enjoy, combining new traditions with perennial favorites. The festivities will kick off on Thursday, October 5 with the 2017 Alumni Awards Ceremony, an annual event to honor alumni and faculty members who have made outstanding contributions to their fields. This year, UMBC will recognize alumni Sylvia Trent-Adams, Ph.D. ’06, public policy; Kafui Dzirasa ’01, M8, chemical engineering; Kate Laskowski ’06, biological sciences and chemistry; Alejandro Cremaschi ’93, music; Dennis Williams, II ’14, American studies; Lauren Mazzoli ’15, mathematics and computer science, and M.S. ’17, computer science; and Steven Storck ’08, mechanical engineering, M.S. ’09, mechanical engineering, and Ph.D. ’14, mechanical engineering. The UMBC Alumni Association will present this year’s outstanding faculty award to Marc Zupan, associate professor and graduate program director in mechanical engineering. The awards ceremony will begin at 6:30 p.m. in the Earl and Darielle Linehan Concert Hall, with a reception immediately following (register online). 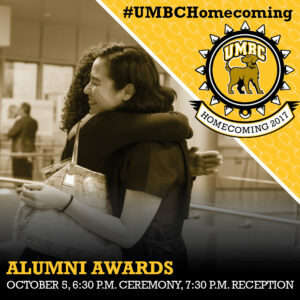 Detailed biographies of this year’s awardees are available through the UMBC Alumni Blog. For those who aren’t able to attend, the ceremony will be livestreamed through the UMBC Facebook page. As the sun sets on Friday, October 6, Retrievers will gather on Erickson Field to light the annual Homecoming Bonfire, a beloved student tradition the entire campus community can enjoy. This year’s celebration includes free food, games, and giveaways. That weekend will feature the first of our UMBC Homecoming games—destination events for students and alumni alike, as well as the broader UMBC, Catonsville, and Arbutus communities. On Sunday, October 8, women’s soccer will play against Hartford and volleyball will compete against Albany, with both matches starting at 1 p.m. Men’s basketball will host a tip-off event to celebrate the upcoming 2017 – 18 season on Friday, October 13 at 6 p.m.
Another major highlight during that energy-filled day will be the Homecoming Comedy Show. This year, Trevor Noah, host of The Daily Show, will perform in the RAC (doors open at 8 p.m., the show starts at 9 p.m.). Tickets are $30 for students, $35 for alumni, faculty, staff, and the public, and are anticipated to sell out soon. Saturday, October 14 will be particularly action-packed for athletics alumni, with the women’s and men’s lacrosse alumni games, softball alumni game, men’s basketball annual Black & Gold Scrimmage, men’s lacrosse alumni game, and baseball alumni batting practice featuring Kids Run the Bases. At 7 p.m. that evening, after a pregame athletics alumni social, men’s soccer will compete against Albany at the Retriever Soccer Park. Also on Saturday, UMBC will host Grit-X, back by popular demand from last year’s 50th anniversary celebration. 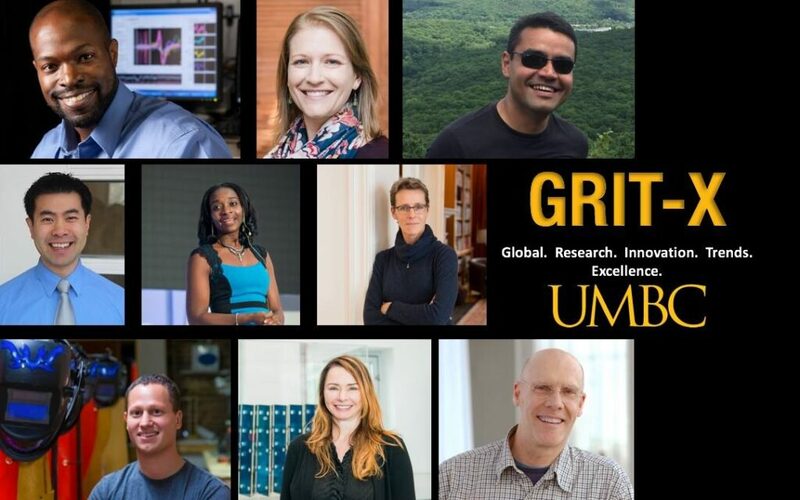 This year’s Grit-X Talks will feature some of the university’s most intriguing alumni and faculty minds on topics from implantable electronics and black holes to language and choreography. The event will take place October 14, 10 a.m. – noon in the Black Box Theatre at UMBC’s Performing Arts and Humanities Building. Among the speakers this year are alumni award recipient Kafui Dzirasa, associate professor at the Duke University School of Medicine; Sean Pang ’09, English, and M.A.T. ’11, Washington Post 2017 Teacher of the Year; and Gymama Slaughter, associate professor of computer science and electrical engineering at UMBC. This event is free and open to the public (advance registration preferred). In addition to hosting Grit-X and athletics events, on October 14 UMBC will also welcome Retrievers from near and far to Homecoming Carnival, with rides, games, and food trucks, noon – 9 p.m. on Erickson Field. Admission is free and open to the public, and visitors can purchase a $5 wristband on the day of the event for unlimited carnival rides. During the carnival, Retriever grads will have a chance to reconnect with each other at the Alumni Tent through gatherings for alumni of the Meyerhoff Scholars Program, Residential Life Alumni, and more. The Humanities Scholars Program and Honors College will also host alumni gatherings during the day. Fab Four alumni, who graduated in UMBC’s earliest years, will enjoy a special Homecoming luncheon in the Skylight Room, overlooking the Carnival festivities. Header image: UMBC men’s soccer fans cheer at a game during Week Welcome 2017. Photo by Marlayna Demond ’11 for UMBC.